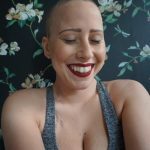 The journey to actively trying to figure out what was wrong with me was a few months long. In February I noticed I was getting sick and decided to go see a doctor. 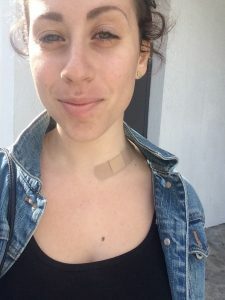 Having recently moved to Los Angeles, I didn’t know of anyone, so I hopped on a website called Zocdoc to find a doctor in my area who also would accept my insurance. It felt like there was something in my chest, so I asked the doctor if we could do a chest X-ray. I went to Whole Foods and got essential oils and holistic congestion medicine because my doctor assured me that it was just a head cold. I went home and did some nasal rinses and ate soup. I thought I’d be okay. My head cold had not gotten any better by March, and I just continued to get worse. I developed a nasty cough, and when I swallowed it felt like a pill was lodged in my esophagus. I saw a different doctor this time, Dr. Haider, who said that I had bronchitis. She gave me a B12 shot and put me on prednisone. I started to feel a little better. I was also having night sweats. 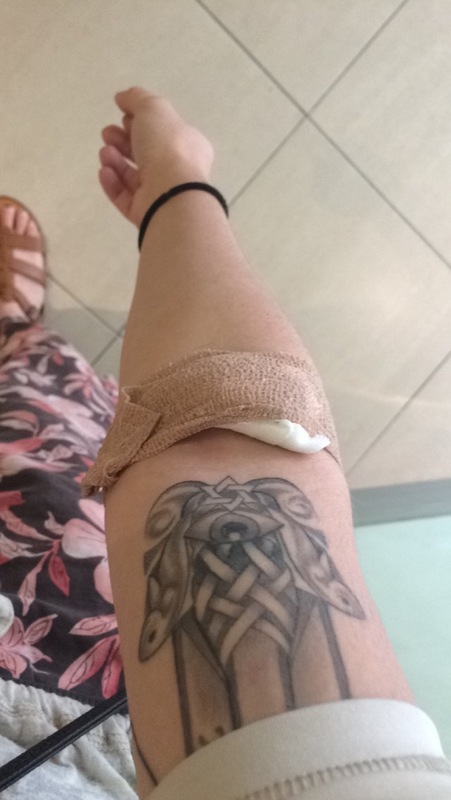 I never had night sweats before, so I didn’t realize that’s what they actually were when I had them, and I sure as hell didn’t know it was a sign of something “bad.” During this time I also noticed that one of my tattoos had red little bumps all over it, and I was constantly itching. I reached out to my tattoo artist, thinking that I may have been having a delayed allergic reaction to the ink he used. Having come to the conclusion that it wasn’t an allergic reaction, I assumed my body was just my body acting funny to the new climate in L.A.
By April I woke up on the morning of my 21st birthday throwing up. I thought food poisoning, but later that evening I realized I had no appetite for alcohol and when I drank alcohol I sometimes felt pain in my neck. That was quite the letdown on my 21st birthday. On Cinco De Mayo I recall having some of the worst back pains I’ve ever experienced. Then, at kickball, the people in my league noticed my face was getting unexplainably red and I was flushed. Something was not right. It’s the second week in May and my back pains are getting worse and I now have, what I believe to be a UTI (urinary tract infection.) The pains in my back were so terrible that I could not sit through class, so I went to the school nurse. This was on a Monday. She was very adamant about me going to the doctor, so I made an appointment to see Dr. Haider that coming Friday. 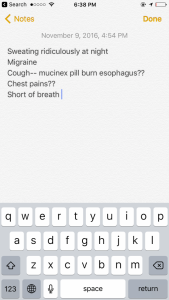 On Wednesday I noticed two lumps in my back and added that to the list in my phone of symptoms to mention on Friday. On Thursday I felt a lump in my neck. I added that to the list too. My arm after the vampires took my blood! It’s Friday and I’m in Haider’s office listing symptoms to the nurse. Haider comes in and urges me to leave her office and get blood work, an ultrasound and a chest X-ray all in that same day. I listen to her and go on my merry way to get all of this testing done. The following Tuesday, I went back to see Haider for my results and she said that my white blood count was abnormally high and the lymph node in my neck was rather large for her liking. She suggested I get a core needle biopsy that same day. I listened again. One week later, May 19th, 2015, I was diagnosed with Hodgkins lymphoma. Moral of this story is: (1) these are symptoms to look for and be aware of and, more importantly, (2) listen to your body. When things feel just a little bit off, raise your concerns to the people around you. Tell your friends, your family and make that doctor appointment. Don’t be scared to come off as a hypochondriac. Any little thing that is “off” needs to be brought into light and investigated. Your body isn’t meant to settle. Your body is going to fight and you will physically see signs of your body gearing up for a fight. Pay attention to that. Tagged diagnosis, Hodgkin lymphoma, lymphoma, symptoms. 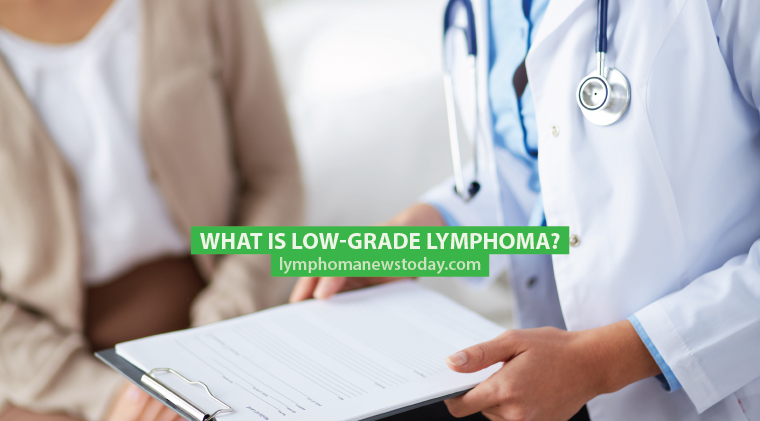 Previous: What is Low-Grade Lymphoma? I know something is wrong with my body and has been.I had a lymph node biopsy and stained flr cd3 cd15 cd20 cd 30 and pax5. My doctors are doing nothing. They say it was reactive. I know its because I am medicaid. 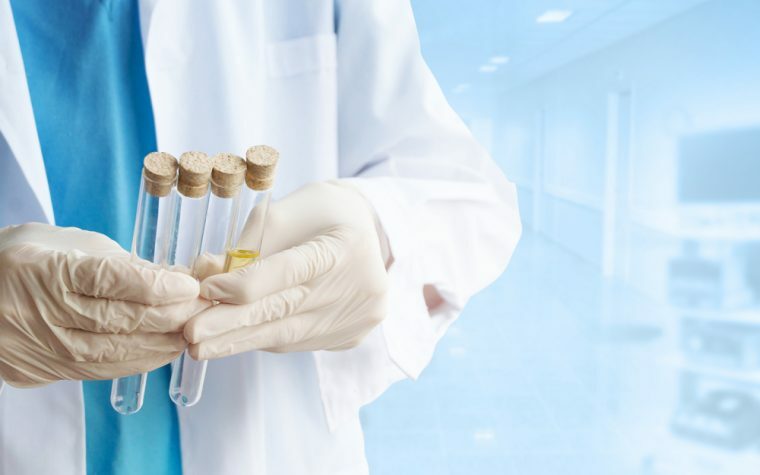 What did your biopsy say? I have gone to the doctor and unlike Natalia in the above story, I have good insurance and still my doctor seems a little laxed about my symptoms. My lymph nodes are inflamed down my arm and like you, I have been battling a worsening chest cold for over 6 months. My doctor says it’s my asthma exacerbated by a viral infection and inflammation. Is it time to get a second opinion?